The Oklahoma State Cowboys held a spring football event at Boone Pickens Stadium on Saturday. 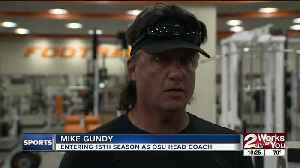 Mike Gundy talks about why he decided to not hold a traditional spring game. 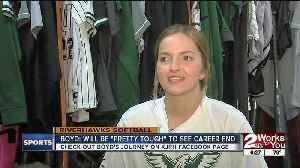 Northeastern State softball star Maddie Boyd is honored on Senior Day as a sixth-year senior. She holds the program's all-time hitting record.